Recently, we lost Anthony Bourdain, and Lee Tuley was struck by the depth of grief so many of us seemed to experience. 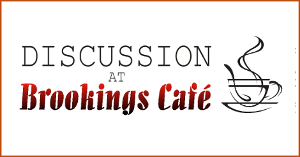 On this Discussion at Brookings Café, Lee explores the life of Anthony Bourdain, what his passing meant to us, as well as the upsurge in suicide among the older generations. That’s the discussion at Brookings Café.